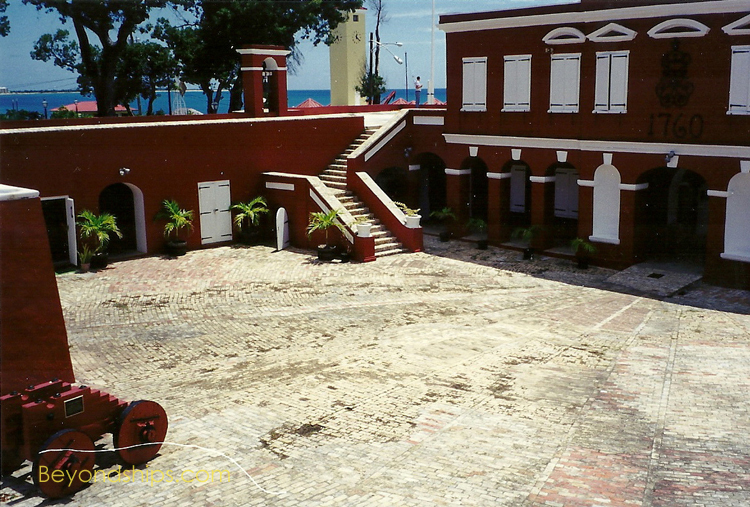 Frederiksted is St. Croix's second major town. 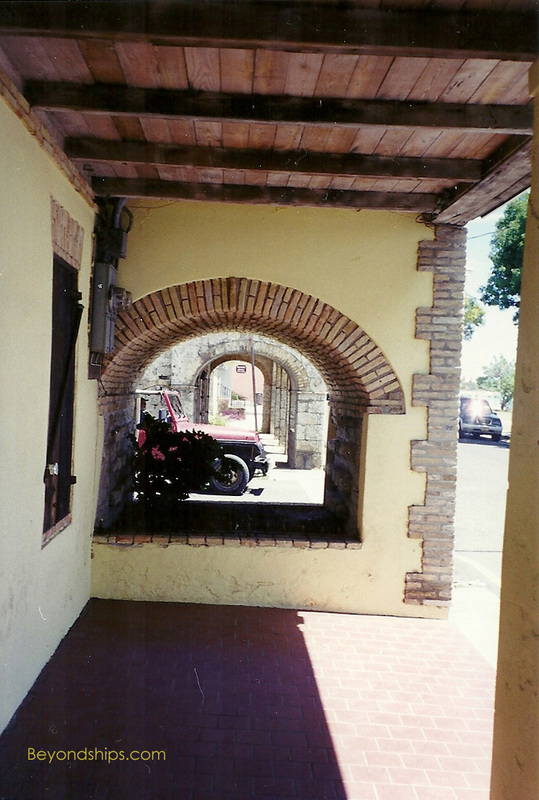 Like Christiansted, it is rich in interesting architecture and history. 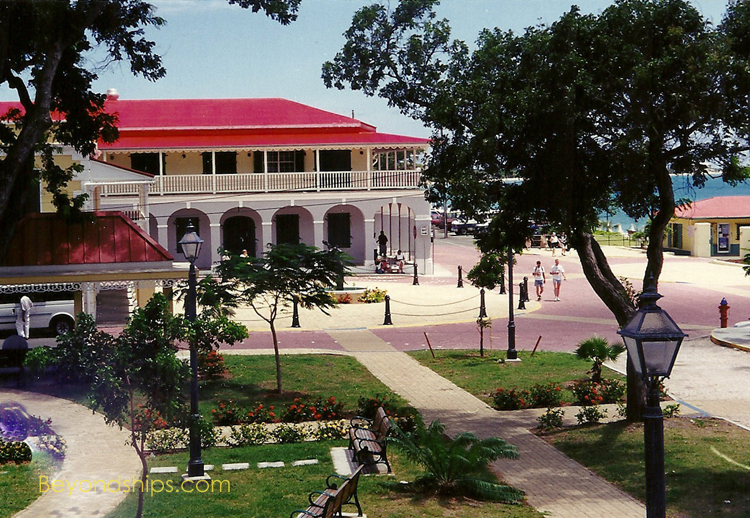 Named after King Frederick V of Denmark, who purchased the Danish West Indies in 1750s, the town is a mixture of Danish, Caribbean and Victorian architecture. The Victorian architecture came about as a result of an uprising during which most of the town was burned. It was re-built in 1879 using the then-contemporary style. Walk to the end of the cruise ship pier and you are right in the middle of it all. Indeed, the portion of town around the waterfront is the area of most interest to visitors. Further on, the ravages of time are more evident. Near the water is Emancipation Park (above). 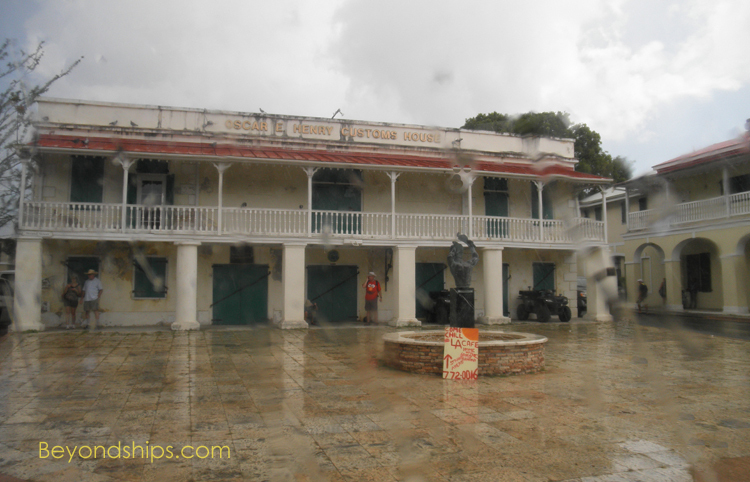 In 1848, Moses Gottlieb (often called "General Buddhoe") led a revolt of between six and eight thousand slaves who gathered in Frederiksted to demand their freedom. The Danish governor consented and proclaimed that all of the slaves in the Danish Virgin Islands were now free. The park commemorates these events. There is a statue of General Buddhoe next to the park in front of the Customs House (lower left), a good example of 18th Century Danish architecture. Many of the other historic buildings from the Danish period have been converted into shops and offices (see below). 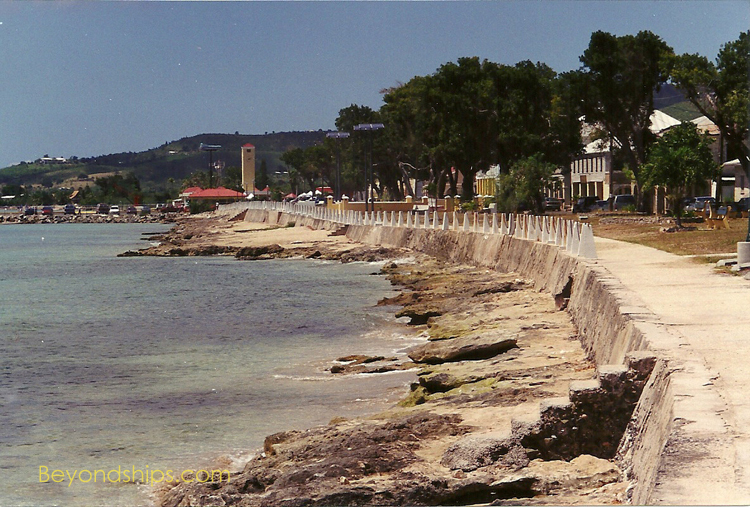 Frederiksted has a scenic park running along the sea wall. It was redone in 2004. Left: The waterfront in 2012. Below right: The waterfront in 1999. 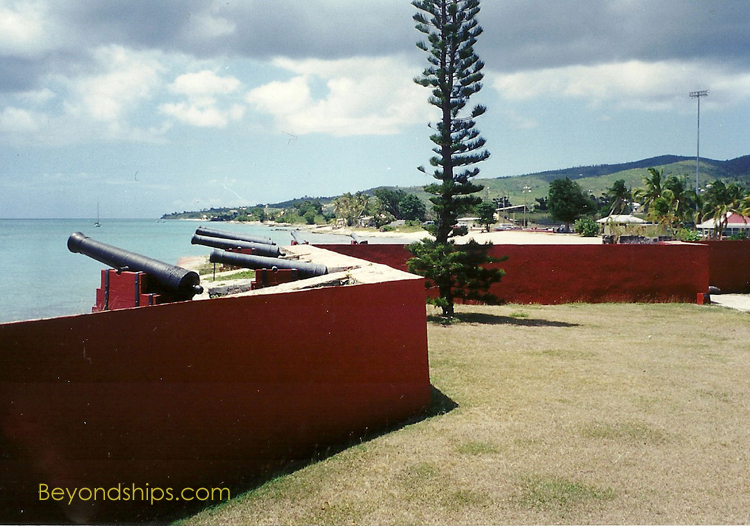 On the other side of Emancipation Park is Fort Frederik constructed by Denmark between 1752 and 1760 in order to protect the settlement against pirates and hostile nations. In 1776, the guns of the fort were fired in salute when an American brigantine in the harbor raised the colors of the United States. It was the first time a foreign nation had so recognized the United States, which was just beginning its struggle for independence. In 1848, the fort was where the governor general of the Danish West Indies announced the emancipation of all of the slaves in what was then the Danish West Indies. 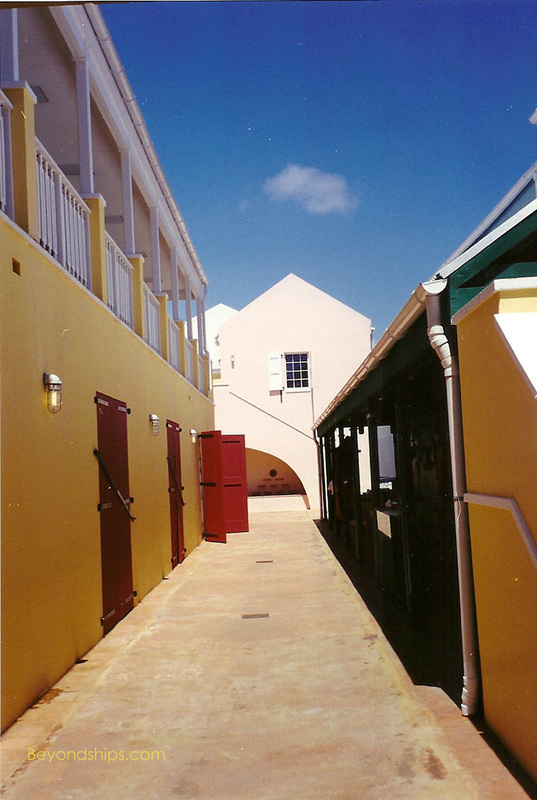 Today, Fort Frederik is a National Historic Landmark and houses a museum and an art gallery that are open to the public.